If you’re a female between 5’0″ and 5’9″, or a male between 5’2″ and 6’2″, you should be extremely satisfied. Still wondering which Infinity Bike Seat is for you?…Fill out your specs (located on the Contacts page) for advice. 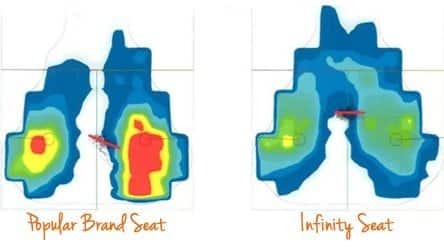 Here we see the stark contrast of pressure distribution between a popular saddle and the revolutionary Infinity Seat. Pressure is completely redistributed and all “hot spots” are eliminated. 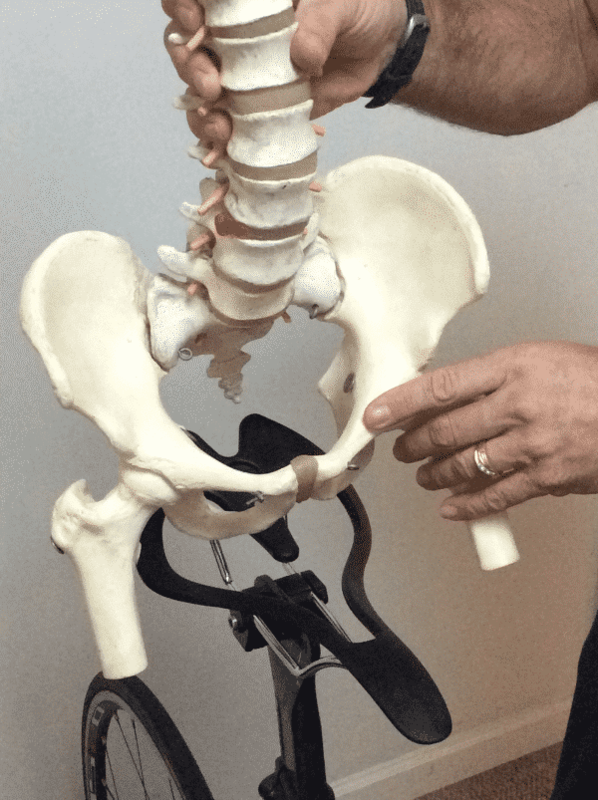 Of course none of this science would matter if the Infinity Seat didn’t result in an ACTUAL improvement in comfort, the elimination of saddle sores and genital discomfort. Infinity Seat was torture-tested and repeatedly proven in practice during the 2014 and 2015 RAAM (Race Across America) as well as other bike race events. Read customer testimonials here.